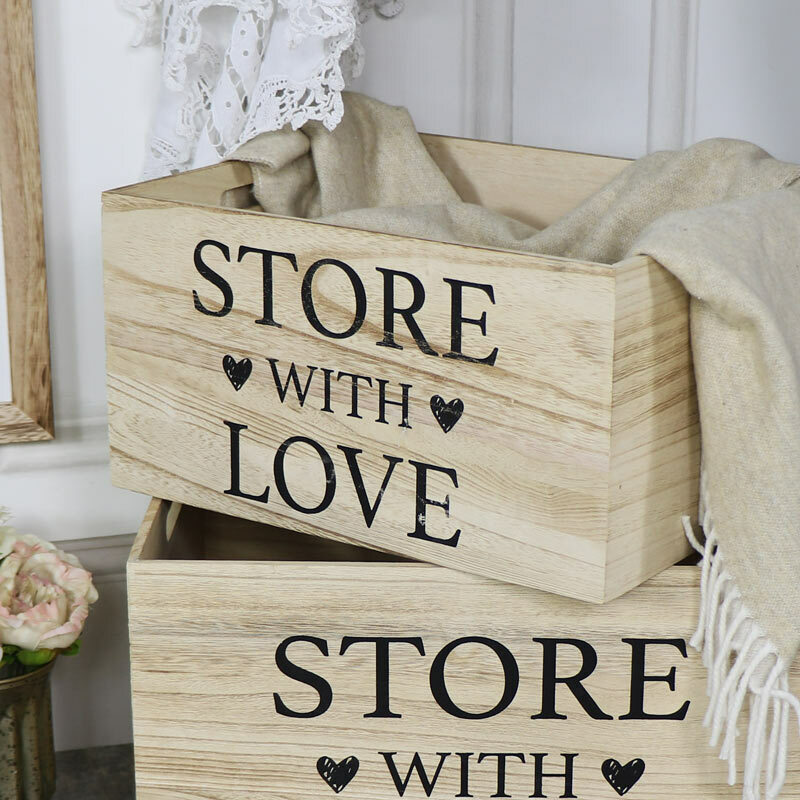 This pair of storage crates are just what you need for keeping your home neat and tidy. In a natural wood finish with wheels for ease of moving. In a set of 2, each with the words, "Store with Love", printed on the side. The wheels are so handy and make the boxes easy to move and make a great toy box for young children. These can be used as a set of 2 or individually where needed. 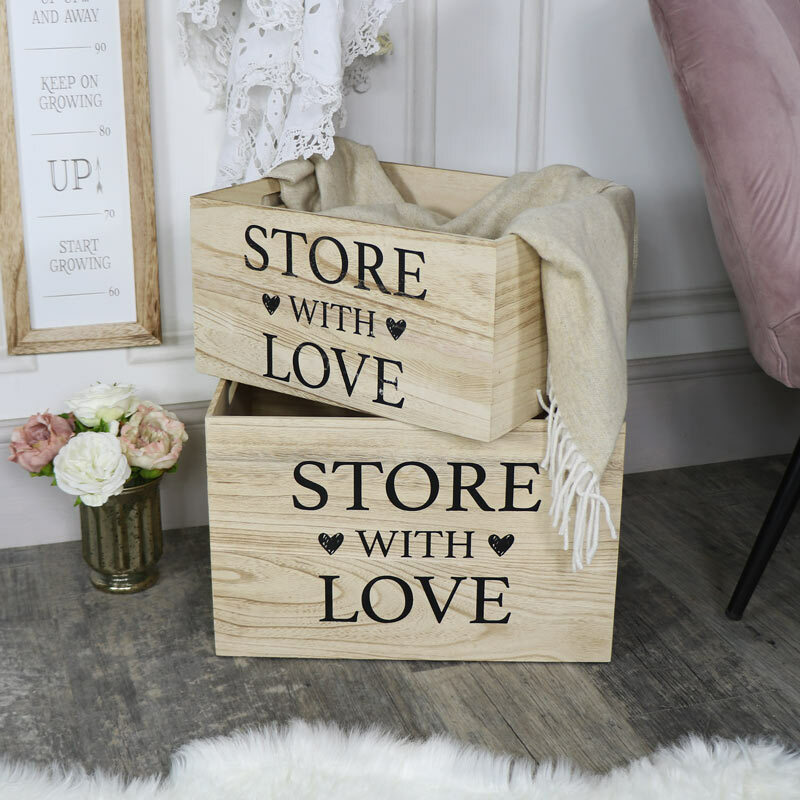 This pair of storage crates are just what you need for keeping your home neat and tidy. In a natural wood finish with wheels for ease of moving. In a set of 2, each with the words, "Store with Love", printed on the side. The wheels are so handy and make the boxes easy to move and make a great toy box for young children. These can be used as a set of 2 or individually where needed. Made from wood in a natural finish with lockable plastic wheels. With a wide range of storage solutions to choose from in a variety of colours and styles to suit modern, retro and rustic to the more French and vintage style interior.